Submitted photo For the first time, Cedarville University will educate high schoolers about the morality of free markets during a July 10-13 seminar by the Foundation for Economic Education. CEDARVILLE — What type of economic system will alleviate poverty and promote human flourishing while minimizing injustice and the abuse of power? The Cedarville Morality of Free Markets Seminar sponsored by the Foundation for Economic Education (FEE) will allow high school students to grapple with this question while learning from economic, business and political experts at a conference July 10-13 at Cedarville University. The seminar’s goal is to educate students on how markets function and the ways they are beneficial to all of society from top to bottom. There will be discussions on the historical development of markets from a virtuous standpoint, addressing how the free market is compatible with ethical principles. Other Cedarville professors leading the sessions include Dr. Mark Caleb Smith, director of the Center for Political Studies and chair, department of history and government; Dr. Jeff Haymond, dean, school of business administration; and Dr. Bert Wheeler, professor of economics, Berry chair for free enterprise. Dr. Lawrence Reed, president of FEE; Brian Brenberg, chair of the program in business and finance and associate professor of business and economics at The King’s College (New York City, New York); and Dr. E. Calvin Beisner, founder and national spokesman of the Cornwall Alliance for the Stewardship of Creation and policy advisor to The Heartland Institute, will speak at the seminar as well. The cost to attend the conference is $79. Online registration is available at fee.org/cedarville. 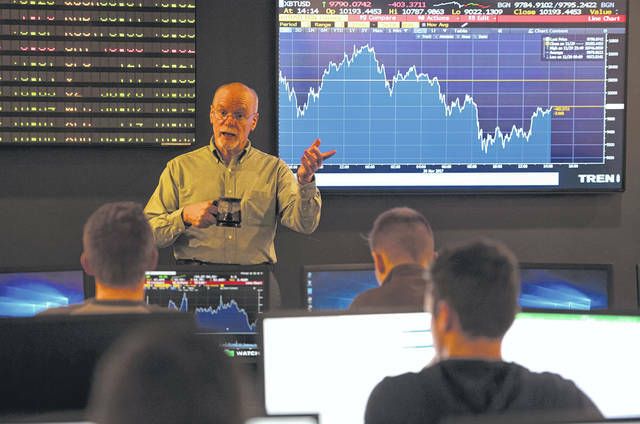 https://www.xeniagazette.com/wp-content/uploads/sites/32/2018/07/web1_Morality-of-Free-Markets.jpgSubmitted photo For the first time, Cedarville University will educate high schoolers about the morality of free markets during a July 10-13 seminar by the Foundation for Economic Education.